Wild Vegetables Festival रानभाजी महोत्सव Food festival October 2018. In an attempt to preserve the lost recipes of Maharashtra villages, this is an effort. Wild vegetables which naturally grow in and around villages, farms, houses are being used and are tasty & nutritious too. Best way is to try them, taste the buds and if you like it start sharing the knowledge of our own culture .. Non need for foreign vegetables ! At the end of this blog post photos with names of each wild vegetable in Maharashtra India is given for reference. भाजी म्हटलं, की अळू, मेथी, पालक, चाकवत, करडई, राजगिरा, चुका या पालेभाज्या आणि कोबी, फ्लॉवर, बीट, तोंडली, कारले, भोपळा, काकडी अशा मोजक्याच ठरावीक भाज्यांची नावे आपल्याला माहीत असतात. मात्र, कधी नावही ऐकलेले नाही अशा नावांच्या भाज्या पाहण्याची, आणि या रानभाज्यांचा स्वाद चाखण्याची संधी उपलब्ध झाली आहे. या रानभाज्यांमध्ये माड, चावा वेल, टेरा, कर्टुलं, शेऊळ, लोथी, सतरा, हळंदा, शेवळे, कोरड, टाकळा, शेवगा, तेरे, कुडाची फुलं, घोळ, कोळू, रताळ्याचे कोंब, टेंभरण, मोहदोडे, नारळी, मोखा, चायवळ, वांगोटी, भोपा, बोंडारा, रानकेळी, भारंगा अशा वेगेवगळ्या प्रकारच्या तब्बल ६५ रानभाज्यांचा समावेश होतो. भारंगा ही भाजी एक-दोनदा खाल्ली तरी वर्षभर पोटाचे विकार होत नाहीत. तर, रानकेळी खोकल्यावर गुणकारी असतात. आपल्या समृद्ध मावळात अनादी काळापासून ऐकीवात नसलेल्या विशीष्ट प्रकारच्या रानभाज्या आहारात आहेत. यातील बहुतेक रानभाज्या ह्या आरोग्यदायी आणि पोषक तत्वांनी भरपूर आहेत. काळाच्या ओघात या रानभाज्यांची ओळख विसरली जाऊ नये म्हणून “फ्रेंडस् ऑफ नेचर” ने रविवार दि 14 ऑक्टोबर रोजी एकूण 22 विविध दुर्मीळ भाज्यांची (सोबत यादी आहे) चव घेण्याचा “आस्वाद रानभाज्यांचा” हा कार्यक्रम आयोजीत केला आहे. या बरोबर नाचणी, बाजरी व तांदळाच्या भाकरी, माठातील लोणचे ई. पदार्थ असतील. याच दिवशी गोळा केलेल्या ताज्या रानभाज्या मावळातील सुगरणी, मावळी पद्धतीने येथे बनवणार आहेत. प्रवेश पूर्व नोंदणी द्वारेच असेल. नोंदणी शुल्क रू. १००/- एका व्यक्तीला असेल. प्रवेश मर्यादित प्रथम १०० नोंदणीसच दिला जाईल. (1st come 1st serve). रानभाज्यांची सविस्तर माहीती ही दिली जाईल. स्थळ: निसर्ग अभ्यासिका, यशवंतनगर, त.दा. 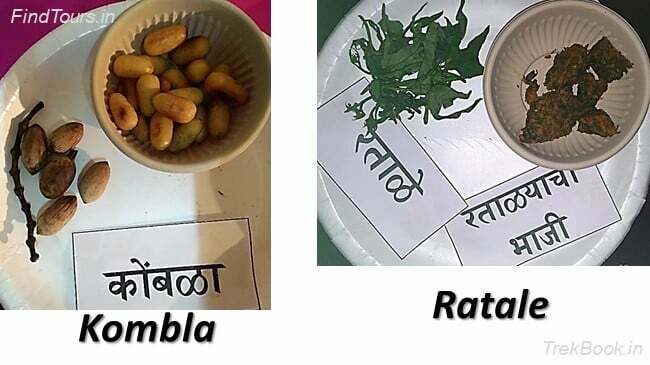 What is Wild Vegetable Festival रानभाजी महोत्सव ? Wild vegetables which generally bloom during monsoon, mostly in July and August in and around villages. They shoot up naturally with the first showers of our monsoon rainfall and found in most of the rural parts of Maharashtra as well as in forests around. They grow naturally and without any chemical fertilizers. Power packed with vitamins, calcium, minerals and protein. And hence are an inherent part of our traditional diet in most of the rural and tribal areas of Maharashtra. It is important that the rural and tribal communities still hold a great amount of knowledge on recognizing and cooking recipes of those wild vegetables. They also contribute to the count of biological diversity of Indian Flora that our country is known for. However global warming and climatic changes which has adding to the devastation of the contemporary chemical based hybridized diet-culture as well as agri-culture. So how can we protect this heritage? Best way to protect them is to know them, start growing and hence consuming them cultivating what they are meant for. This will help the habitats of wild vegetables which now need urgent protection against the fast invading urbanization! Such “Wild Vegetable Festivals” which exhibits variety of recipes by using the wild vegetables, allowing people to taste their buds may help growing popularity and hence cultivation in villages to make money. Lets see how this attempt works. This festival is driven by an NGO working on conservation of Nature through education. Please do participate and enjoy the Ran Bhaji Mahotsav near Mumnbai and Pune.